Marjorie S. Zatz is Vice Provost and Graduate Dean and Professor of Sociology at the University of California, Merced. Nancy Rodriguez is Professor of Criminology, Law and Society at University of California, Irvine. “Dreams and Nightmares is a must-read for anyone interested in U.S. immigration policy and the potential for meaningful reform. The book’s focus on children and on prosecutorial discretion fills important gaps in the literature. 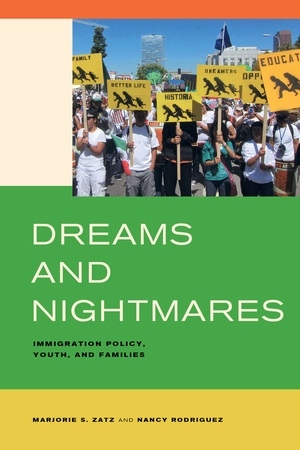 It is beautifully written and accessible, and it combines insightful analysis of the structural contradictions shaping immigration policy with attention to the human consequences for those living the dreams and the nightmares.”—Kitty Calavita, coauthor with Valerie Jenness of Appealing to Justice: Prisoner Grievances, Rights, and Carceral Logic (UC Press).